IRVINE, CA. Dec. 14, 2015 – A new awesome gym towel, which is not only functional and stylish, but also uses state-of-the-art fiber technology, is introduced by Towel Tech. This new gym accessory is based on a combination patented fiber called TENCEL® which resists bacteria and odor, and the use of advanced technology. Besides drying faster than most towels, three great features are offered: (1) Zipper Mesh Pocket- Secure keys, phones, ear phones etc. (2) Small Embedded Magnet- Attaching to any metal surface to keep off the floor. (3) Color Coded Sides- Reverse color design, one side for wiping gym equipment and other for personal body and face. Henry Cohn, co-founder of Towel Tech says: “We are proud that we can offer the fitness industry an awesome towel, which is not only functional and stylish, but also uses state-of-the-art fiber technology. Making your workout more convenient and hygienic is all about our goal for our customers”. People of all ages – men and women – will appreciate the softness of towel, new age fiber, convenience, and performance of this highly engineered and attractively designed Towel. 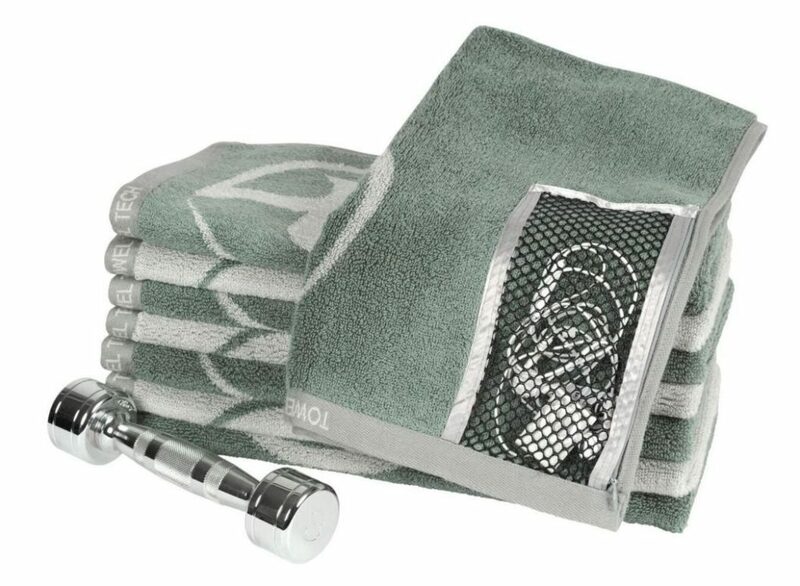 Club members, personal trainers, in-home workout devotees, high school and college athletes, and serious bowlers and golfer will enjoy this durable towel. Towel Tech was founded by Henry Cohn and Roland Esquivel, both fitness enthusiasts. Roland, (an engineering graduate from University of California, San Diego) and Henry (Chapman University Graduate in Film) came together to invent and develop a better workout towel. Their R & D efforts finally paid off with the new revolutionary Towel Tech.